The iPhone 5S and iPhone 5C hype is without a doubt heating up very quickly. Just minutes after Celcom unveiled their price for the new iPhones, DiGi sends out their media and public invitation for the launch of the new iPhones in Malaysia. 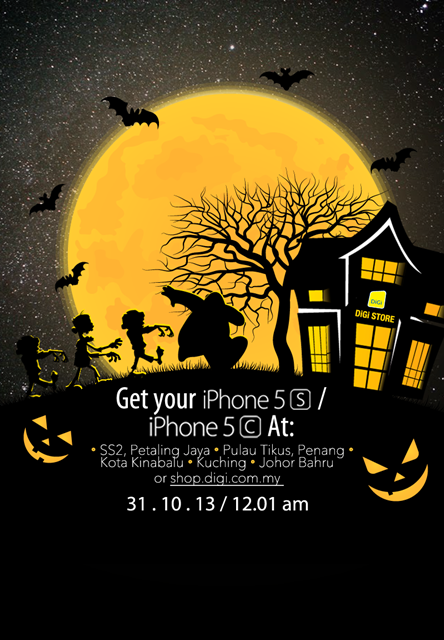 The launch will be happening at precisely 12:01am, 31 October 2013 and according to the Tweet, it looks like you can “Book your iPhone online” but at the time of writing, it looks like DiGi haven’t updated their online store for the new iPhones yet so stay tuned as we keep you updated.